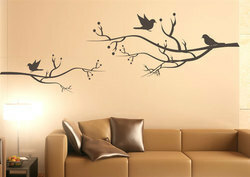 Manufacturer of a wide range of products which include nature wall decals. Sundek Sports Systems is well known supplier of Nature Wall Decals. This makes the wall and interior creative and beautiful. Our offered Nature wall Decals are highly appreciated by our valued customers. We also customized the Decals as per clients requirement.